MWOSFLs mission is to encourage Muslim women and their families to be a meaningful group that is committed to community service, personal development, and philanthropy. 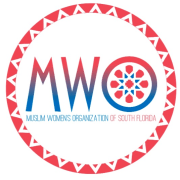 Muslim Women’s Organization of South Florida (MWOSFL) consists of Muslim women from all over South Florida who are working together to improve their lives and serve their community. We accomplish this by supporting existing community initiatives and providing opportunities for women and their families to get involved and make a difference. MWOSFL is a non-profit 501(c)(3) organization. Would you recommend Muslim Women's Organization of South Florida?